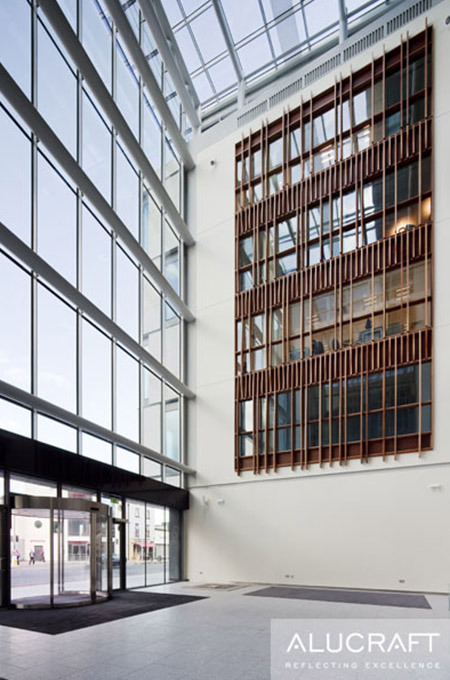 The Trinity Biosciences development comprises 8 stories over 3 level basement landmark building incorporating academic, office, and retail space. The Biomedical Sciences Institute at Trinity College Dublin is located on a former surface car park site fronting Pearse Street. The development represents a significant provision of floor area on a tight urban site, totalling approximately 35,000 sq. 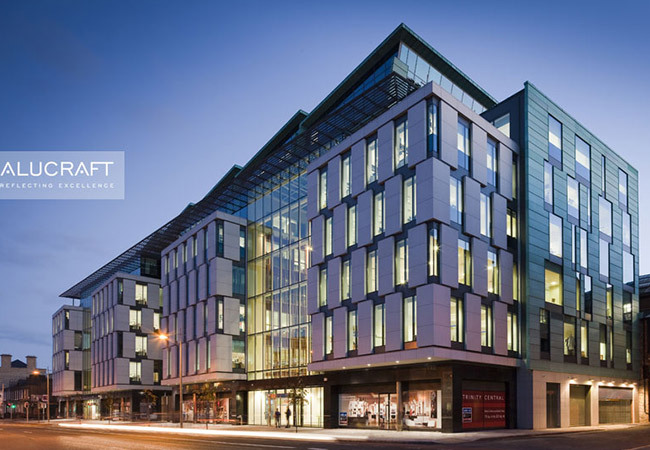 m., and accommodation on a site of 4,400 sq m.
Two full height, bespoke glass-steel atria flank the station entrance providing access to the Trinity College Dublin academic accommodation and the commercial office space respectively. 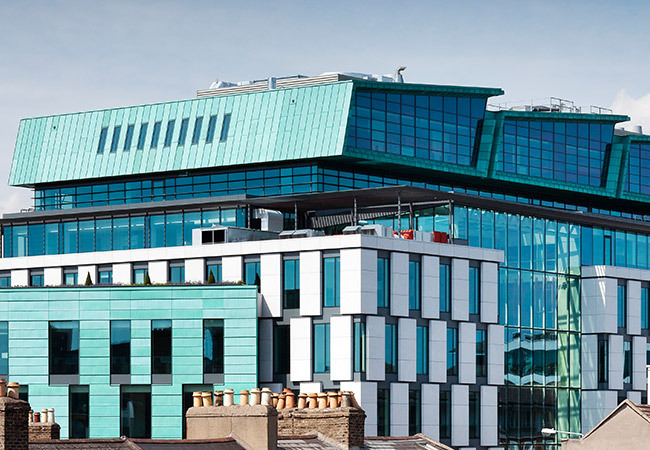 Systems used include Schuco FW50+SG Curtain Walling with frameless windows and doors and a bespoke large-span steel curtain walling system developed by Alucraft specifically for this project.